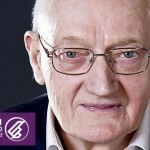 BBC Radio Scotland: Sunday Morning. Richard Holloway talks to psychoanalyst Stephen Grosz about his new book. February 2014.